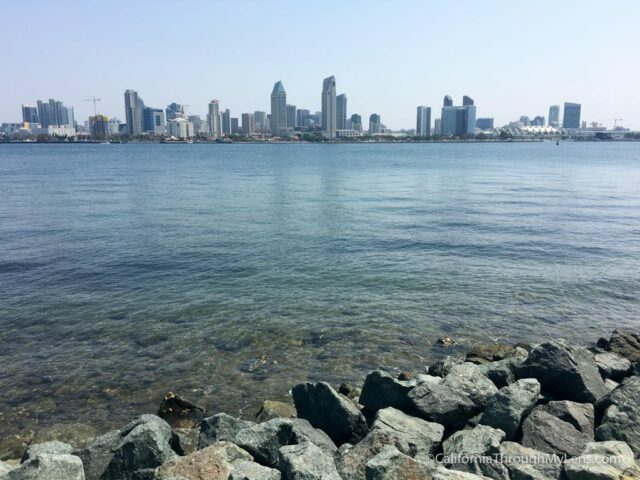 Coronado Island is the small piece of land directly off San Diego which houses a massive naval base on one-half. The other half of the island has become an incredibly popular tourist spot due to its beauty and its proximity to San Diego itself. While it is not technically an island as it is connected, that is what most people refer to it as so I will as well in this post. 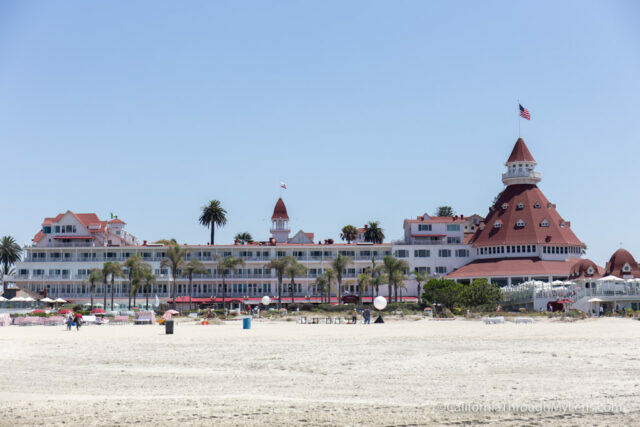 I got a chance to spend a few days in Coronado and came up with this guide which features a bunch of great spots you can check out while on the island. The island is accessed via the Coronado Bridge which was completed in the late 1960’s (check) and which is an excellent spot to see in and of itself. All of the main shops and restaurants are off of Orange Ave which runs about 1.75 miles down the center of the island. Street parking is available all over for about $.50 an hour but on the weekends it can fill up fast. 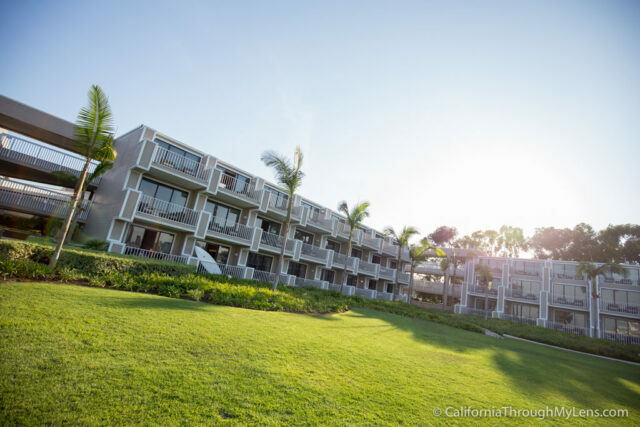 There are a few lots which range in pricing near the beach and multiple spots with valet around as well. If you go on a busy summer weekend you can always take the tram if you have to park far away, it runs through downtown every 15 minutes, and it is free. 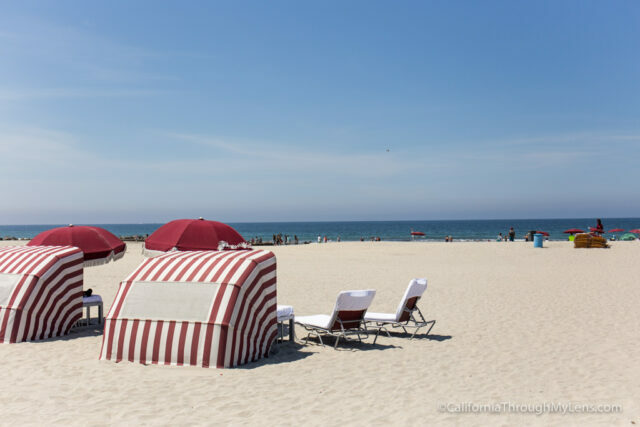 Of course, the main reason to come to Coronado is for a beautiful day spent at the beach. 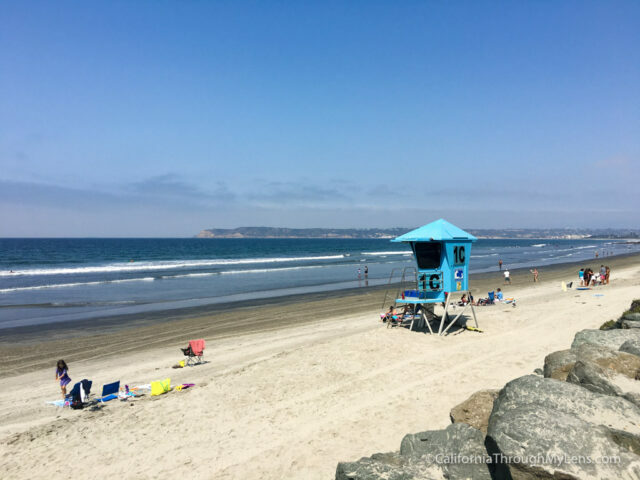 I love Coronado Beach because it has picturesque white sand with small sand dunes and a lot of land, so it doesn’t feel too crowded. 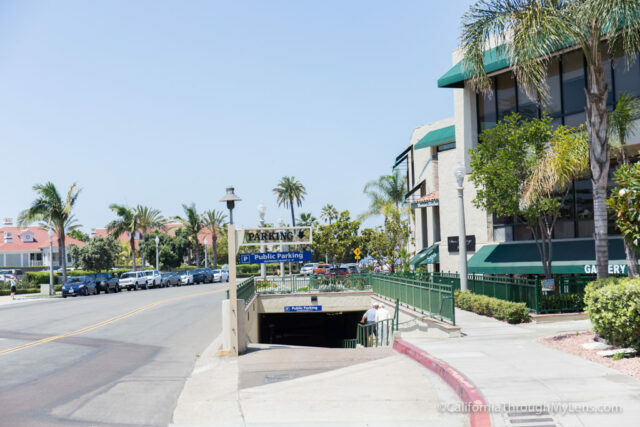 The beach is in close proximity to Hotel Del, so if you get hungry, you can always walk over and grab something to eat. 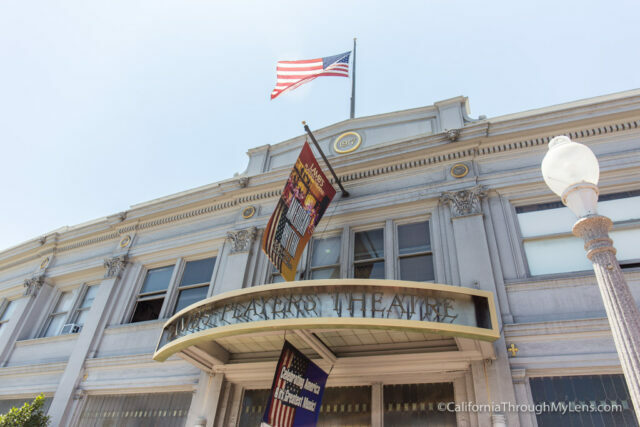 Downtown Coronado is only about 5 minutes walk as well, so there are a lot of great options. This state beach goes along pretty much the entire peninsula part of Coronado. 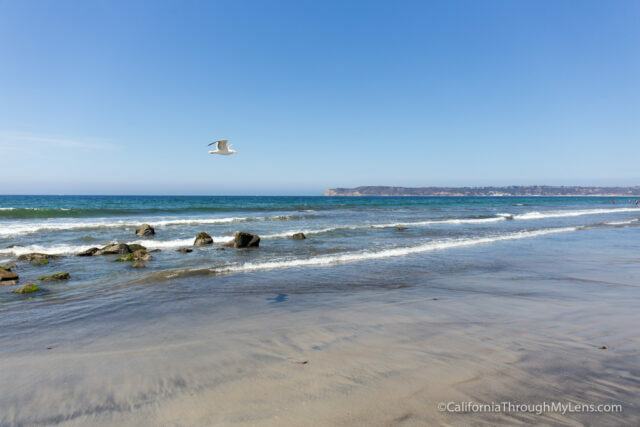 Yes, Coronado is not a traditional island, and you can drive from the south along land to get to it. This beach is beautiful, and it has large sections of sand for you to enjoy with different spots to park along the way. 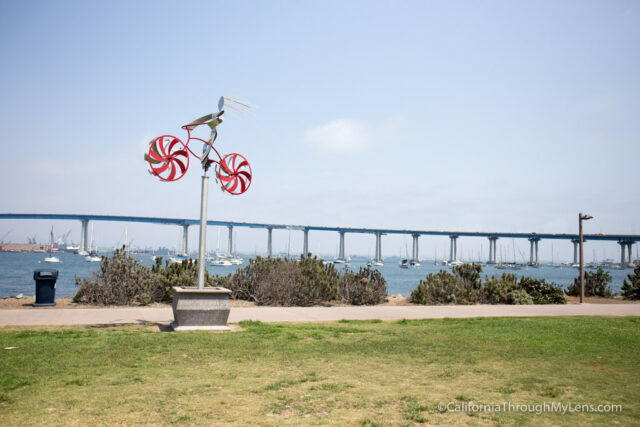 There are a couple of really great parks on Coronado Island which you can explore or just relax at. This park is my favorite as it has a lot of history to go along with the beautiful little area. This is where the first Coronado ferry landed from mainland San Diego, and it ran all the way until the bridge was completed in the 60’s. They still have the ticket area sitting in the middle of the park. It is a great spot to get a nice view of the city skyline as well. 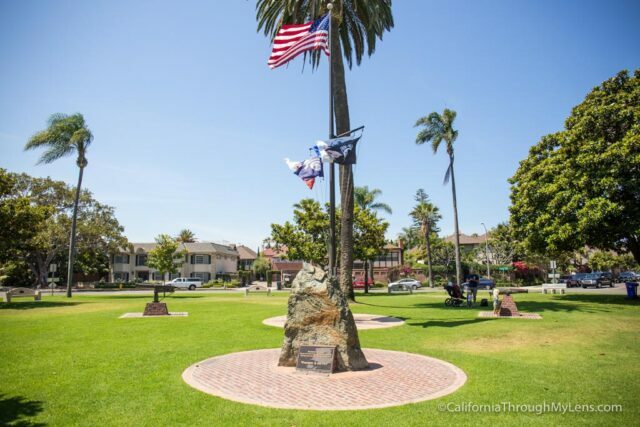 Star Park is a little circle of grass right near Coronado Beach which has a few memorials to the military and a couple of cannons. It is not big, but it is cool to stroll by, and you can see L. Frank Baum’s house (more on that below) from the park as well. Another small park with a big view. 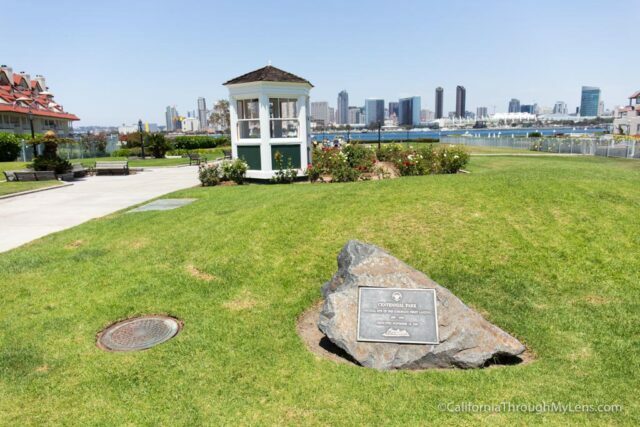 Bayview Park is a great shaded spot to relax and look out over the harbor. This is the closest park to the naval base too so you can see some massive ships from here. This is the biggest park of the ones I mentioned and it is popular because it is right at the base of the bridge, so it provides the best photos of this iconic spot. You can also launch a kayak from here if you have one of your own. One of the notable works of Richard Smith Requa, a famous San Diego architect instrumental in designing Balboa Park. 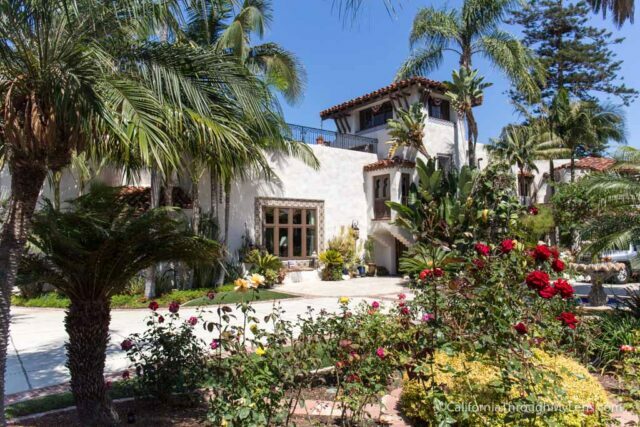 This massive house located right near Star Park. 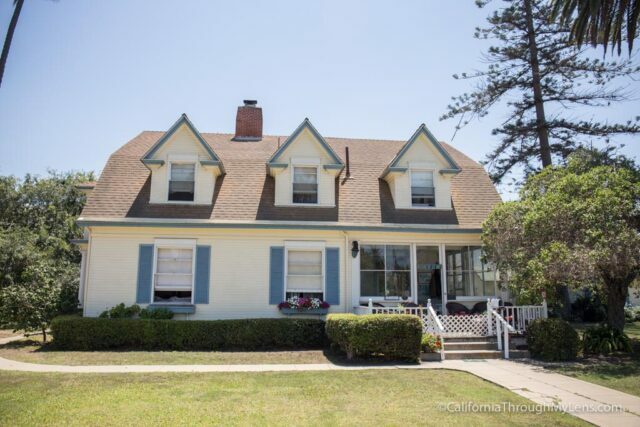 L. Frank Baum, the creator of Wizard of Oz, is a famous author who lived in the area. His house is right next to Star Park as well, and it has a few little pieces that pay homage to the author sitting on the porch. It is said that Hotel Del was his inspiration for the Emerald City in his novels. Built in the early 1900’s this building is no longer used as city hall, but it is a great historic spot on the national register of historic buildings. 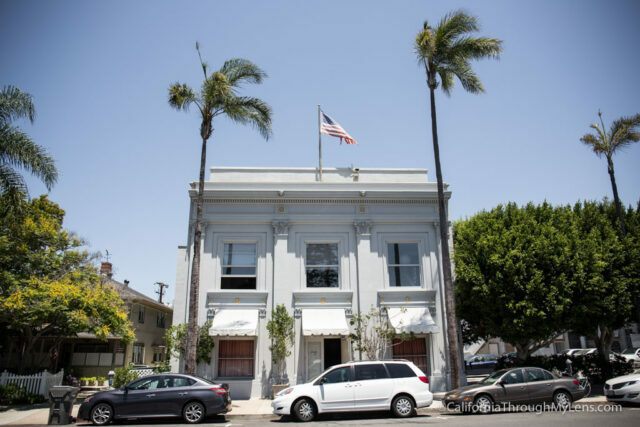 There is no shortage of places to eat on Coronado. I have not tried that many so be sure to leave your recommendations in the comments as well. The island has all of the standard stuff like Starbucks, Panera, Which Wich, etc. but here are my favorite non-traditional spots. This is a great little spot in downtown Coronado for breakfast and coffee. 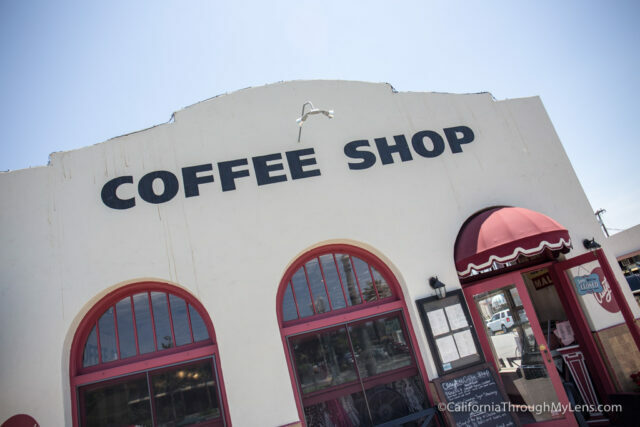 I love the old building with the large coffee shop sign painted on the side. I recommend grabbing a cup of coffee and some waffles. 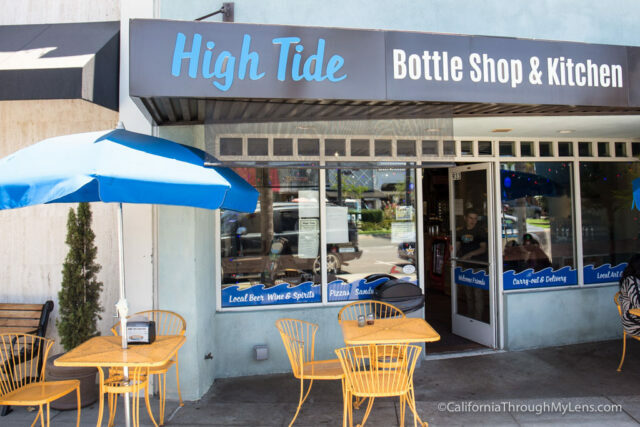 Bottle Shop is a small beer store with an excellent pizza parlor stuffed inside. It is one of the most cost-effective places to eat on the island; I am often able to get a slice of pizza and a drink for less than $6. I like the breakfast pizza they have here with eggs and bacon on it, as well as the craft sodas from the soda machines. 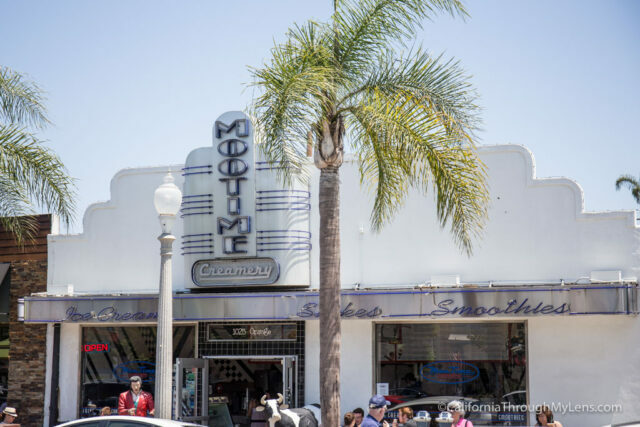 If you have been to Coronado, then you have probably got an ice cream at Moo Creamery. It is the fun spot with the ceramic cow and Elvis outside. The ice cream here really is top notch though so I always make it a point to stop by. I recommend the butter pecan. 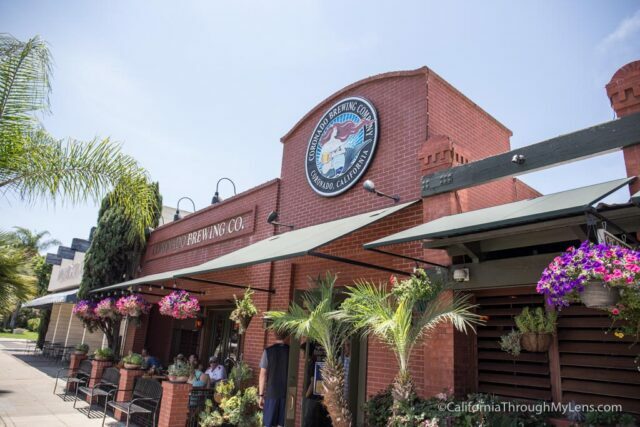 The Coronado Island Brewing Company is a popular craft brewery in San Diego. The main restaurant and brewing area is on Coronado though and it is a fun spot for a meal or just for a drink. It is located really close to Centenial Park. 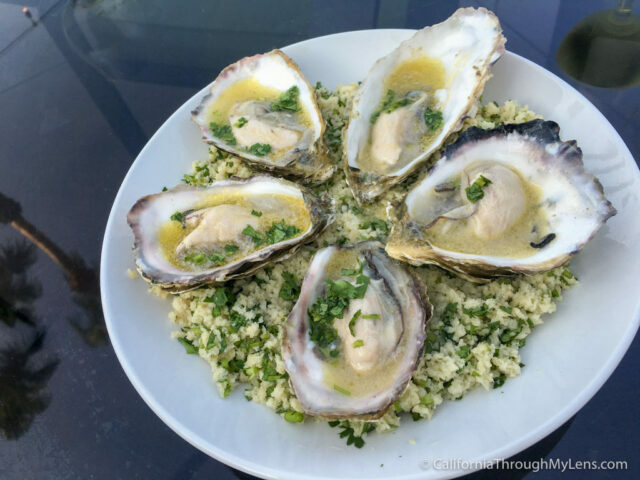 If you are a fan of seafood, then be sure to go to Islander. They have a board outside that shows the fresh fish of the day, so you know it’s good. 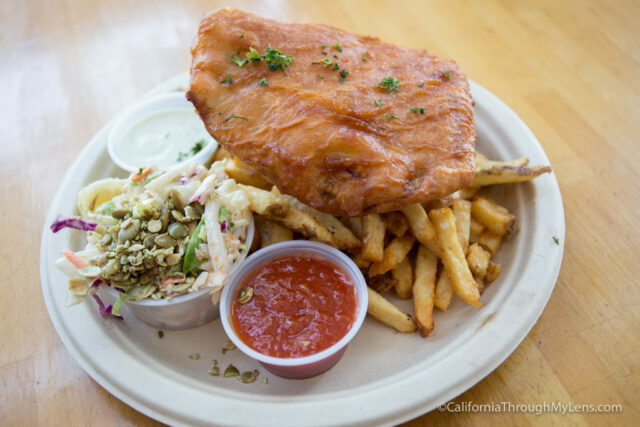 I recommend the fish and chips which come with your choice of multiple types of fish, hand cut fries, pumpkin seed slaw, horseradish tartar sauce and house-made curry ketchup. I recommend the local yellowtail as it is fantastic with so much flavor. The fish practically melts in your mouth, and the sauces that go with it are both perfectly crafted. It’s an expensive spot for sure (more than $20 a person), but it’s perfect for dinner. Current at the Marriott Coronado is also a great spot for dinner in the city. They have a unique menu and a beautiful view from the outdoor tables. I have been quite a few times and the chef always has something special to try. 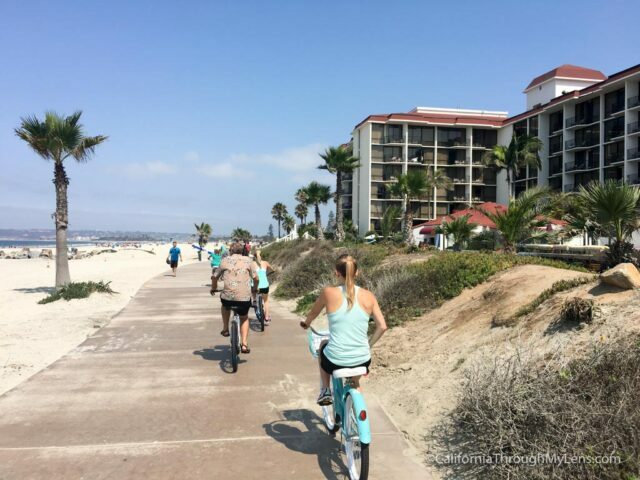 If you want to see the island and be active while doing it, then consider renting a bike from one of the many downtown establishments and taking the six-mile trail around the island itself. It is a lot of fun, and they have bike parking areas all over so you can stop and spend more time at any of the spots. I like to kayak, so I always jump at the option of taking one out on the water. 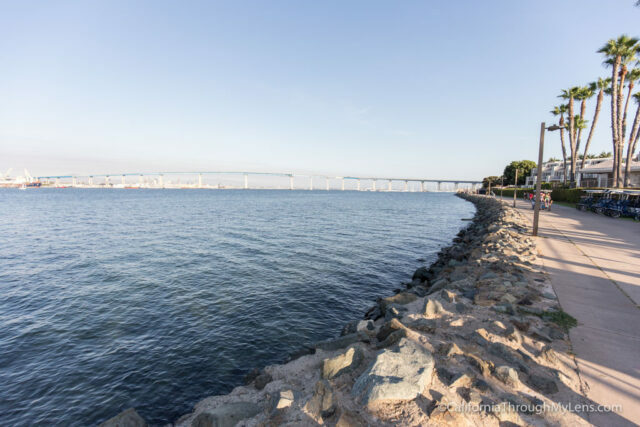 When I went, I rented the kayak from the boardwalk over near the Marriot Coronado, and I took it past Tidelands Park and over to the Coronado Bridge where it was fun just to marvel at the bridge from below. There is a play theater and a movie theater on the island. Both are old and cool looking, and both provide a way to relax if you are into the theatrical arts. Along the South side of Coronado there is a boardwalk on both sides of the island (same as the bike path). This is a great spot to walk and just explore the area as it is peaceful and wide open. 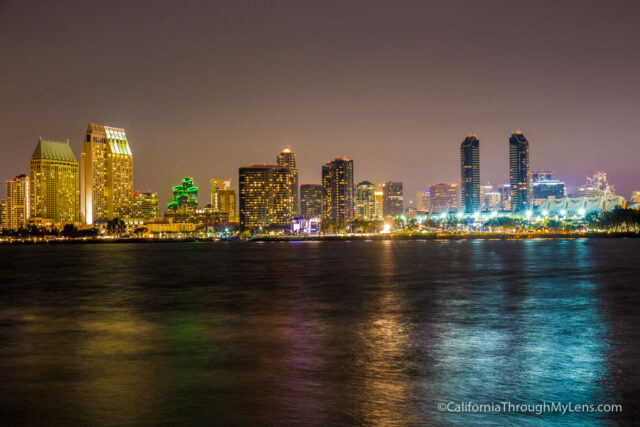 At night this area becomes even more amazing as it has massive views of the San Diego skyline lit up across the water. It is one of my favorite things to do if I am staying on the island. Of course, this is the one everyone knows about on the island. I haven’t stayed there myself, but I imagine it is a pretty beautiful spot. I especially like that they have a lot of seating on the beach that you can take advantage of if you are a hotel guest. Even if you don’t stay here, take some time to walk around it and take it all in. This is my go-to hotel as it is right on the boardwalk but in the southeast section of the island, so it always seems less busy and more relaxing. You can read about my time there here. So there you have it, my recommendations for where to explore in Coronado. Be sure to let me know what I left off in the comments.